The Bedroom Tax has come into force and many across Leeds and the UK are under considerable distress out of fear they will lose their home due to being unable to pay. Many will be failing to heat their home properly, underfeeding themselves or their family, getting into debt, some are even considering taking their life. This is the cold, hard reality of the Bedroom Tax. We hear these stories all the time, at our neighborhood meetings, when door knocking and through traumatic telephone calls and emails. Rather than trying to alleviate the extreme distress that many of their tenants are facing, the Council and social landlords have been telling them they will be “on the street” if they don’t pay. Our message to affected tenants has always been to use what resources you have to cover your needs (food, heating, wellbeing and so forth) first, then pay off any existing obligations before paying the Bedroom Tax. However, we can’t reach everyone. Faced with mounting financial pressures we know many are making savings that are detrimental to their health (such as skipping meals, not turning the heating on) or considering borrowing money from legal loan sharks. The stresses and strains that this places people under is considerable, and we have reason to believe that Leeds may have suffered its first Bedroom Tax related suicide. 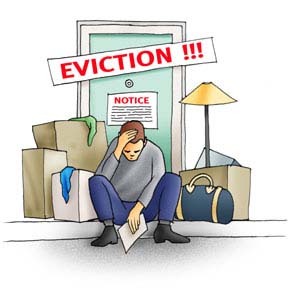 We tell those under distress not to panic, it is in fact quite difficult for a social landlord (including the council) to evict you and it will be very expensive for them to do so. Coming together to join the campaign has helped push back against feelings of helplessness. Our local meetings are incredibly important to show we are not facing this in isolation. We find strength in coming together, we know that together we can defend our homes. We have being calling on Leeds City Council and other social landlords to make an official announcement that there will be no Bedroom Tax evictions and no Bedroom Tax debt. This would help to unburden thousands of people across the city and would provide an avenue for the council to finally refuse to do the dirty work of the Westminster government. It would make the Bedroom Tax unworkable at the local level, something we feel is vital for overthrowing this barbarism. The Labour controlled council has always told us a non-eviction policy would be completely unworkable. They told us that in time of austerity, they must balance their books or central government will take away their control over the city’s finances. We have always been massively skeptical of this. We have always known that the cost of evictions would be much higher than the loss of rent from unpaid Bedroom Tax. Now we have the figures to back this up. Leeds City Council estimates that the average loss average loss in rental income for a council tenant unable to pay the Bedroom Tax is about £580 per year.1 Shelter, the homeless charity, estimate the average cost of an eviction is just under £6000 per case.2 Should the evicted tenant qualify for re-housing under homelessness laws, which is very likely, this would add another £5300 per year in temporary accommodation and then re-housing. On top of this are other costs such as legal aid, and the much larger indirect costs on other public services. In other words it could cost the public purse at least £11,300 to evict tenants who owe just £580 in rent arrears. If this is then multiplied across the 6,748 council tenancies currently affected, the cost could be in the region of £76million, the majority of which would fall on Leeds City Council. The Council must have done the maths. They must know that is going to be very hard for the them to evict tenants who cannot pay the Bedroom Tax. They must know that an eviction policy makes no economic sense. This leaves us to ask why they won’t commit to a non-eviction policy. We can only suspect they hope to use to threat of evictions as a club to extract as much money as possible from Bedroom Tax victims who cannot afford to pay and cannot move. Given the disastrous impact we have seen that this has had to people’s physical and psychological well-being throughout Leeds, this almost as barbaric as the tax itself. We call on Leeds City Council and all social landlords to announce publicly that there will be no Bedroom Tax evictions and no Bedroom Tax debt. They must stand with their tenants against this government. So far we have been building our campaign through neighborhood meetings across the city, but on April 20th we will take to the streets. Join and spread the word. Together we can defend our homes! ← Hands off Our Homes Weekly Update: Meetings in Leeds this week, how to resist bedroom tax, demo!